Professor Vinayak P. Dravid and Professor Jinsong Wu co-authored a new publication in Nature Communications. NUANCE was thrilled to participate in the International Institute for Nanotechnology’s All Scout Nano Day on April 6. Save the date! May, 2 2019 will be the iNANO Spring Workshop! Dr. Gajendra Shekhawat co-authored a new publication in the Journal of the American Chemical Society. 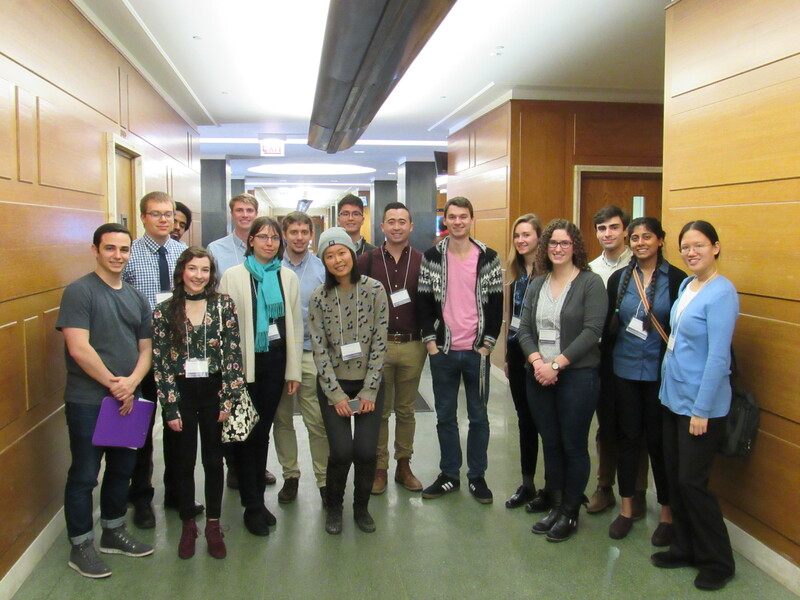 The Midwest Microscopy and Microanalyis Society held their annual Spring Meeting at Northwestern University on March 28, 2019. NUANCE has welcomed two new members to its administrative team. Keck-II got a new spectrometer thanks to funding from the Office of Research. On March 27, 2019 the BioCryo facility held a lunch, lecture and demo of Microscopy Innovations mPrep ASP-100 Auto Specimen Processor. 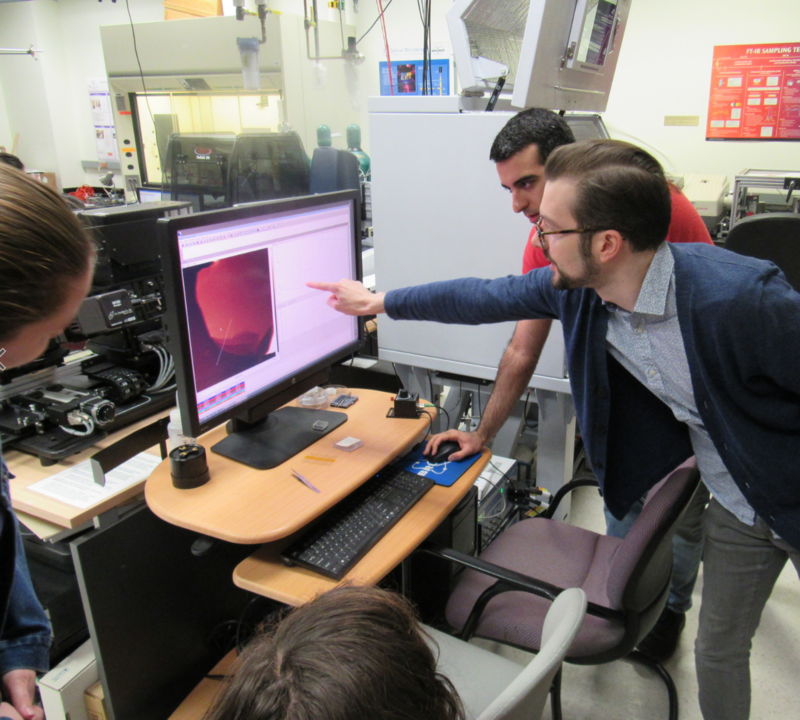 Dr. Reiner Bleher hosted March's Tech Talk on Electron Microscopy of Biological and Soft Matter Samples! NUANCE’s Dr. Xinqi Chen, the Keck-II facility manager, gave a talk at the Illinois Institute of Technology earlier this month. Several tour groups of prospective students have visited NUANCE’s facilities this month. NUANCE is hosting the Midwest Microscopy and Microanalysis Society's spring meeting on March 28th. 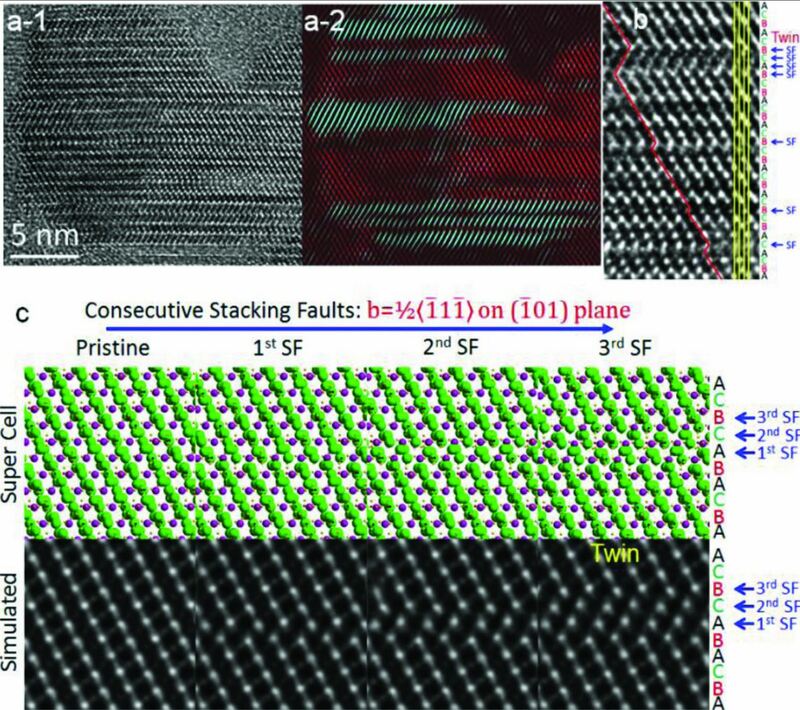 SPID facility manager Gajendra Shekhawat co-authored a new publication in ACS Nano. Prof. Vinayak Dravid was invited to present at the 2019 ChemPhysMat conference in Bengaluru, India, Feb. 20-22, 2019. NUANCE is honoring Women in History Month by recognizing female students who are sure to make a big impact on the field of studying tiny things! NUANCE's Professor Vinayak P. Dravid, was co-author on a study on understanding and predicting polyelemental, multiphasic nanoparticles which was published in Science's March 1 issue. 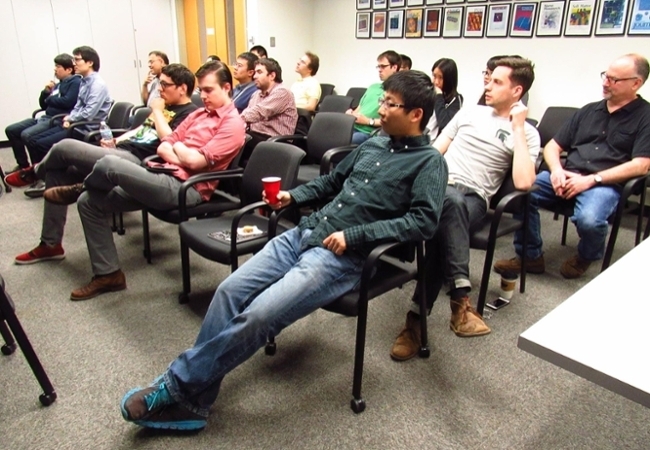 Qing Tu, Postdoctoral Fellow, hosted the February Tech Talk! NUANCE was excited to be one of the sponsors for the inaugural Materials Science Umbrella Society (MSUS) Poster Competition! Images generated from NUANCE and SHyNE facilities are featured in a new exhibit about materials science at the Harold Washington Library. The SPID facility is home to a new Hysitron Biosoft Indenter. 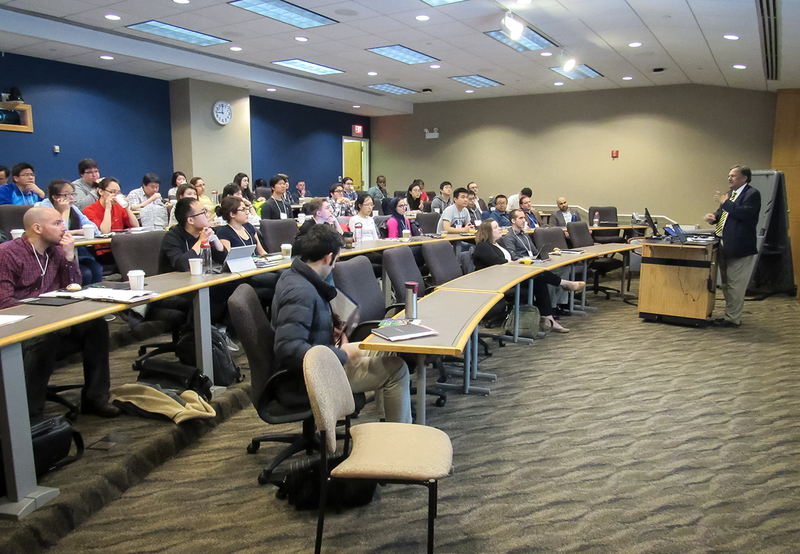 Dr. Xinqi Chen, Research Associate Professor, hosted a packed January Tech Talk! Roberto dos Reis, Scientific Officer, hosted NUANCE's November Tech Talk. On November 27, 2018, NUANCE hosted a Leica CryoClem workshop with Nancy W. Rizzo and Louise Bertrand. Faculty stakeholders met with Gatan on October 26, 2018 in the acquisition of the KS-IS and the K3-IS direct detectors. On November 14, 2018, SHyNE Resource met for their annual meeting. On November 5-7, 2018 NUANCE was proud to host an Advanced TEM Short Course with Dr. Nigel Browning and Dr. Layla Mehdi. Register now for the Leica CryoCLEM workshop on November 21, 2018! Register now for the TEM Short Course with Dr. Nigel Browning and Dr, Layla Mehdi November 5-7, 2018! Karl Hagglund, SEM Microscopist, hosted this month's Tech Talk. NUANCE celebrated another successful NUANCE Fest on October 9, 2018! NUANCE's monthly Tech Talk series returned in September with a talk from SEM imaging specialist Tirzah Abbott. NUANCE Tech Talks begin September 19, 2018! Join us for monthly user meetings with our tech staff! The NUANCE Center facility receives a new instrument with impressive technological features and a wide array of applications. Technical staff members travel to Maryland for a conference on microscopy and microanalysis. Acclaimed professor comes to Northwestern for a discussion on atomically thin circuits. NUANCE welcomed students from the program for a tour of its facilities. NUANCE was visited Thursday by a group of budding female scientists who are participating in a science camp on campus. Professor Vinayak Dravid recently visited the factory of microscope manufacturer JEOL in Japan. 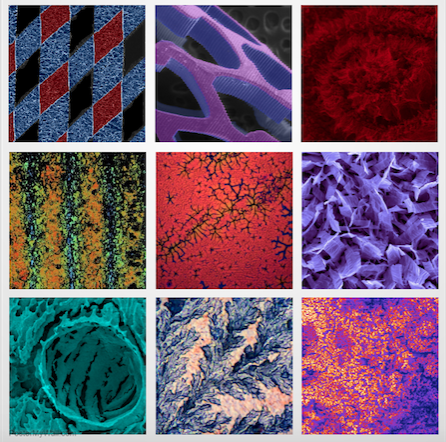 NUANCE is now accepting entries for the annual "Art of Science" image contest. NUANCE’s business administrator, Chad Goeser, was named Northwestern University’s 2018 Employee of the Year on Wednesday. Distinguished speakers come together to discuss new tools and areas of research related to sensing. NUANCE was featured on a program that illustrates the intersection of art and science. NUANCE joins the Northwestern community in partaking in the popular event. A new and extraordinarily advanced microscopy technique discovery by researchers at NUANCE speeds up the way materials can be imaged at very small length scales. The breakthrough benefits microscopists and investigators who heavily rely on imaging. Amy Morgan and Joyce Park went to Washington D.C. to volunteer at the NNCI (National Nanotechnology Coordinated Infrastructure) booth at the USA Science & Engineering Festival, which was held April 6-8. 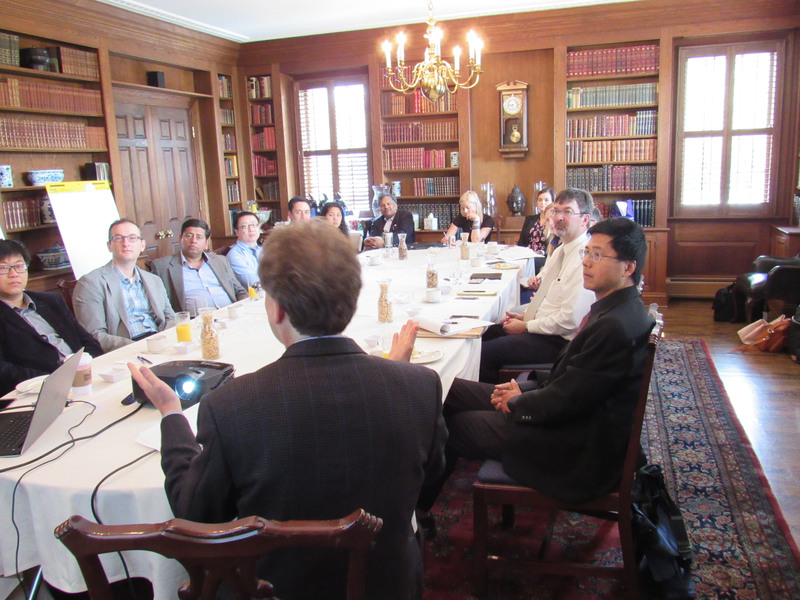 Members of NUANCE join with regional scientists to discuss current topics in microscopy. 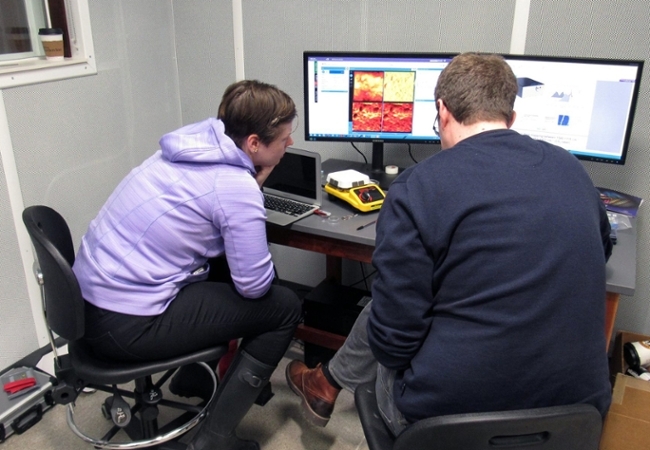 NUANCE has assisted material science researchers in finding a less costly way to study the orientation of grain structures without distortion. Acclaimed scientist and professor comes to NUANCE for a guest lecture. Prospective students given tour of the facilities of NUANCE. NUANCE hosts acclaimed scientist on campus. NUANCE hosts prospective students on tour of facilities. Students studying art and the humanities visited NUANCE to see how the center's work could be applied artistically. 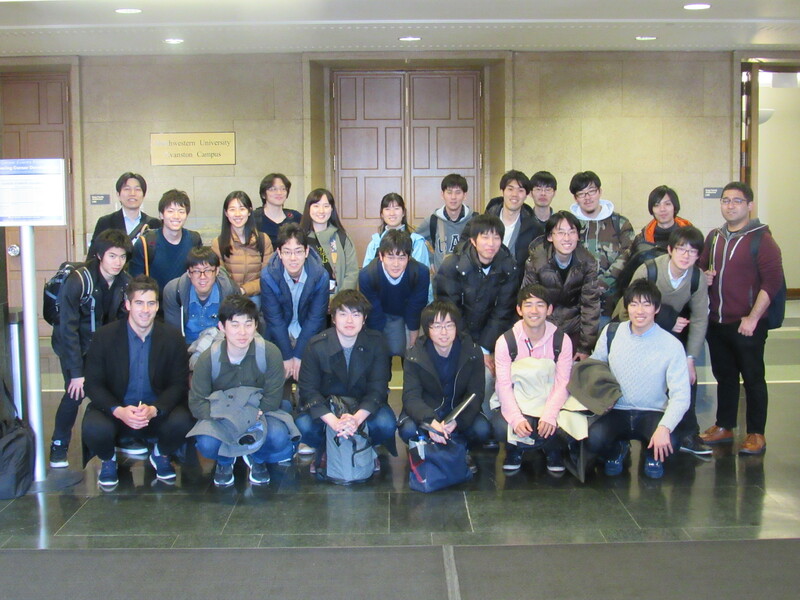 Staff members at NUANCE were delighted to give students from Japan a tour of the center's facilities and instruments. NUANCE and SHyNE Resource hosted Professor Chris Ober from Cornell University on Friday, February 23. 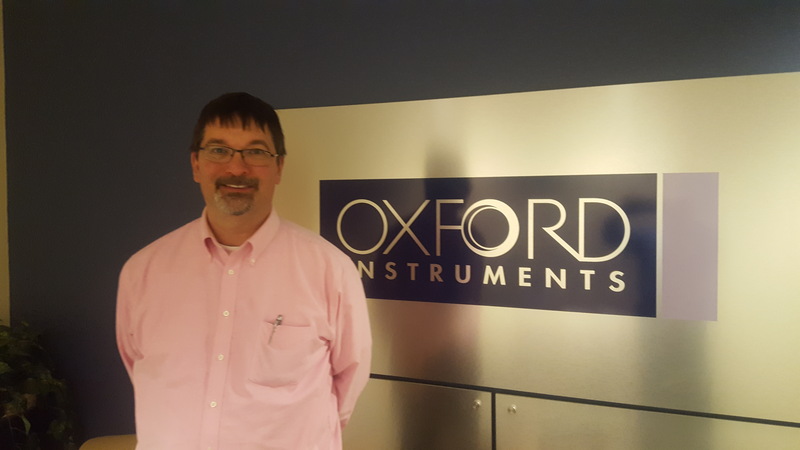 SEM Manager Karl Hagglund visited Oxford Instruments in Concord, Massachusetts, for Electron Backscattered Diffraction training. 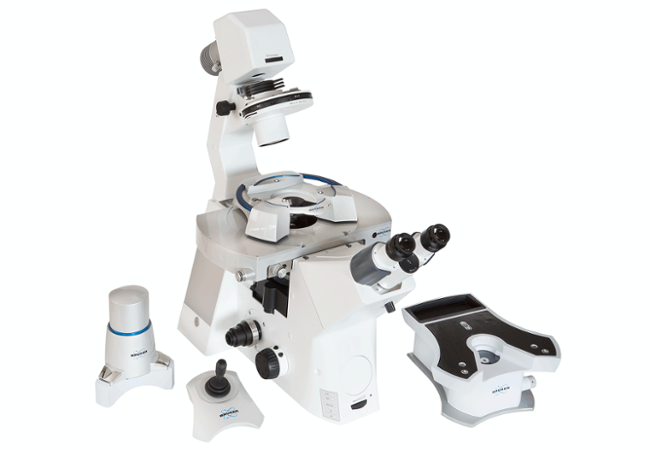 NUANCE is hosting the Midwest Microscopy and Microanalysis Society's spring meeting on March 30th. 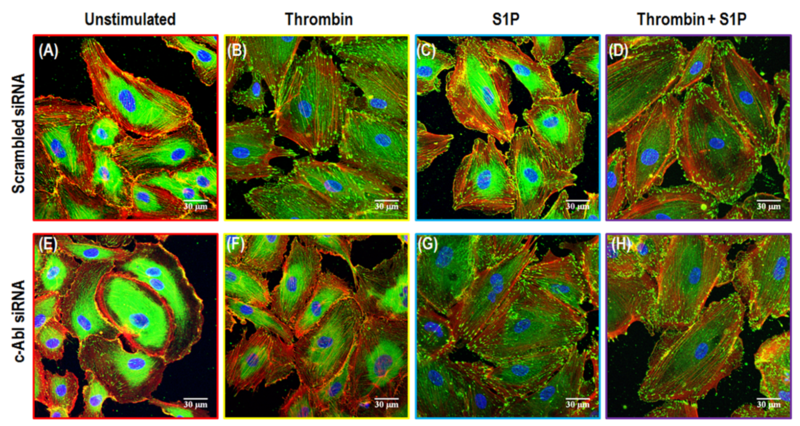 NUANCE researchers Xinqi Chen and Gajendra S. Shekhawat publish findings on heart cell function in Scientific Reports. 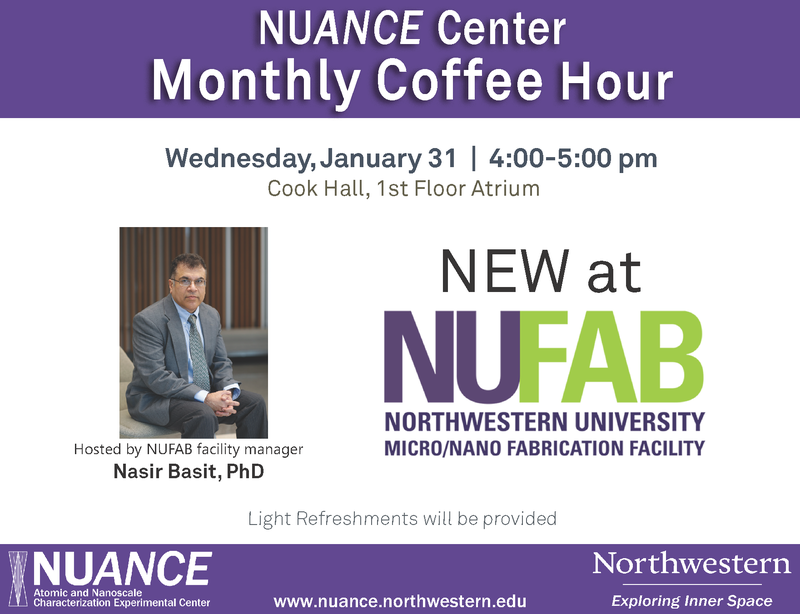 NUFAB Facility Manager Nasir Basit hosted NUANCE's monthly coffee hour on Jan. 31. Heidelberg Instruments hosted a lunch workshop about its MLA150 maskless aligner. NUFAB is adding a Heidelberg MLA150 maskless aligner. Reps will introduce its advanced capabilities. NUANCE SEM manager, Karl Hagglund, invited Zeiss applications engineers to talk about the latest developments in FIB, LSM and XRM. Join us January 25th in Chambers Hall. 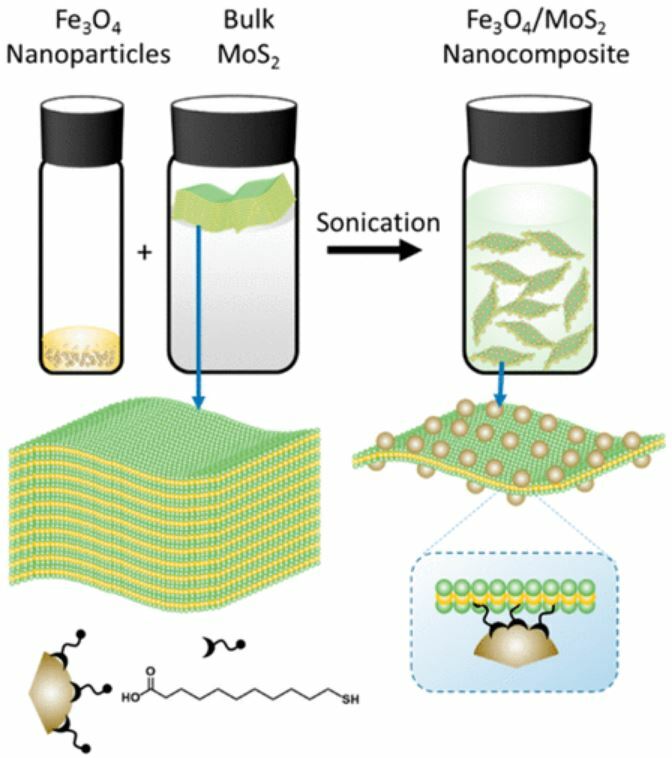 NUANCE scientists developed a modified chemical vapor deposition technique to realize the direct encapsulation of few-layer MoS2 shell on Au nanoparticles. 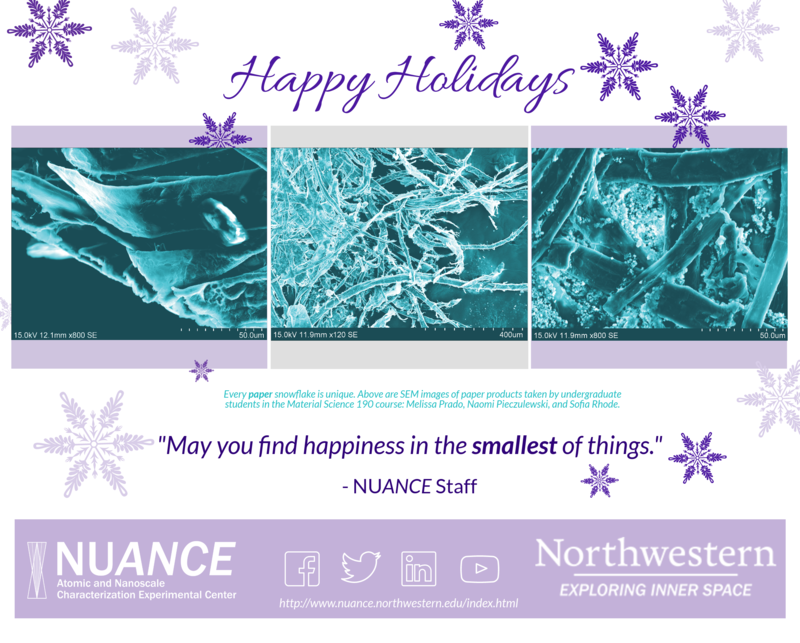 Happy Holidays from the NUANCE Center. The NUANCE Center’s December Coffee Hour was hosted by BioCryo Electron Microscopy Imaging Specialist, Charlene Wilke, on December 13th. The NUANCE Center and Professor Vinayak Dravid were pleased to host Prof. Nigel Browning and Dr. Layla Mehdi for a special lecture for graduate students using nanotechnology research on Friday, December 8th. 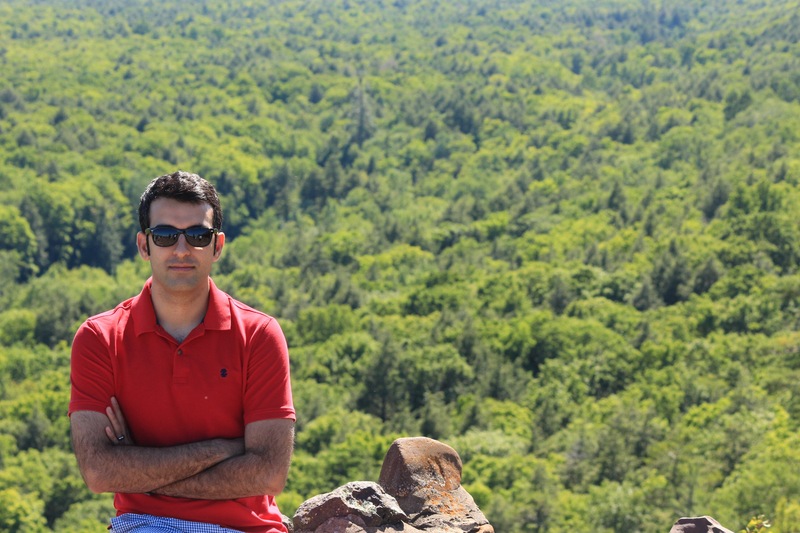 NUANCE is proud to announce the newest Postdoctoral Research Fellow: Poya Yasaei. Called Ultrasound Bioprobe, the non-invasive approach allows researchers to view sub-cellular structures and their mechanical behavior at nanoscale resolution. The NUANCE Center’s first Coffee Hour of the 2017-18 Academic year was hosted by Senior Electron Microscopy and Imaging Specialist, Tirzah Abbott on November 8th. On November 6th, a group from BP’s Naperville Branch visited Northwestern’s NUANCE Facilities. Professor Chen attended the 64th AVS International Symposium and Exhibition at Tampa Florida from Oct. 29 to Nov. 3. NUANCE Fest, NUANCE Center’s annual open house and festival took place on NanoDay, October 9th, and was once again a huge success. 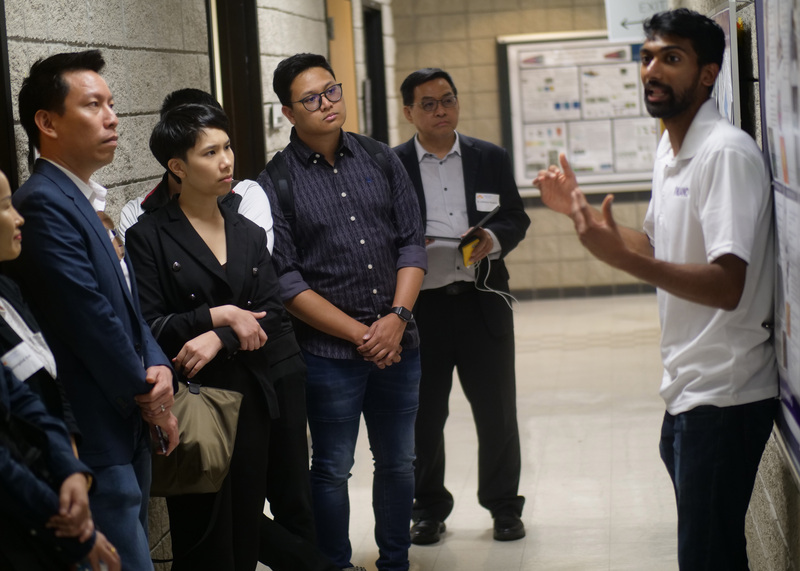 The Northwestern University Atomic and Nanoscale Characterization Experimental Center (NUANCE) was excited to host graduate students from Purdue University ‘s Nanotechnology Student Advisory Council on Tuesday, October 10th. During this year’s NUANCE Fest, Prof. Vinayak Dravid announced the winners of the 2017 “Art of Science" Image Contest. On October 5th and 6th, Boeing’s Director of Materials and Fabrication, Tia Benson Tolle, PhD, and Manager of Research and Technology Next Gen Composites, Sam Tucker, PhD, visited Northwestern’s campus. This week NUANCE Center received its third Gold Star Award from the Northwestern Office for Research at their 8th Annual Core Facilities Colloquium and Awards Luncheon. The Soft and Hybrid Nanotechnology Experimental Resource (SHyNE) partnered with the International Institute for Nanotechnology (IIN) to offer tours of the SHyNE facilities and instrumentation. This year NUANCE Center will be hosting their annual open house on October 9th 2-5pm. There will be tours, contests, games, and a reception in the Cook Hall First Floor Atrium. The NUANCE Center Welcomes Charlene Wilke and Shaoning Lu! NUANCE is proud to announce its newest staff members! Charlene Wilke-BioCryo Electron Microscopy Imaging Specialist, and Shaoning Lu-NUFAB Research Associate. The NUANCE Center was excited to host Provost Jonathan Holloway for a tour of our world-class research facilities on Monday, August 28th. 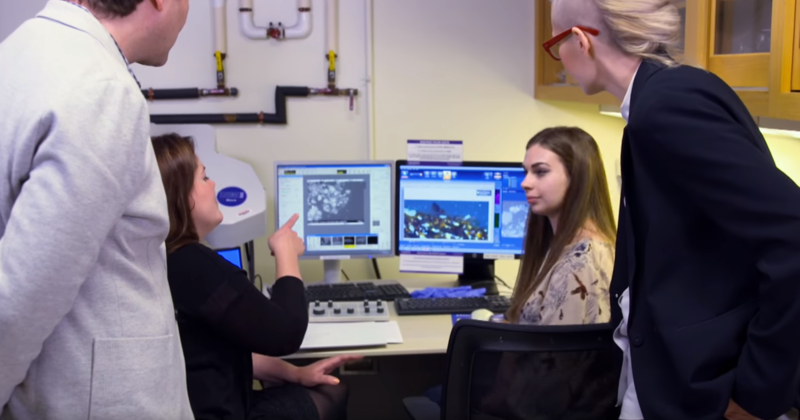 A postdoctoral research associate position is immediately available at Northwestern University's Scanned Probe Imaging and Development (SPID) Facility in the broad area of “Scanning Probe Microscopy and its advanced applications." 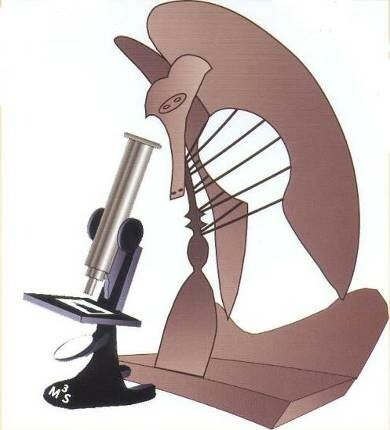 NUANCE is now accepting entry images for their "The Art of Science" Image contest. 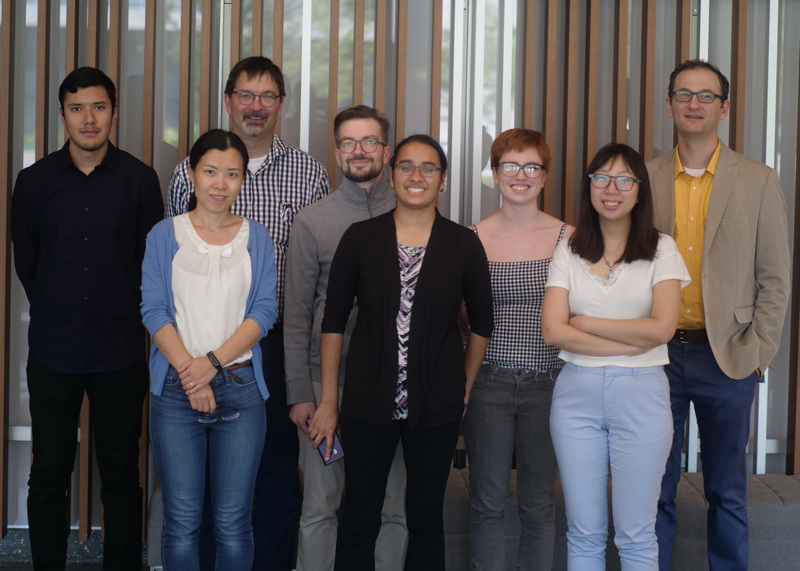 Staff of the Northwestern University's Atomic and Nanoscale Characterization Experimental Center (NUANCE) went on a retreat to reflect on the current and future status of NUANCE in the broader context of science, engineering, and society as a major nanotechnology facility in Midwest. 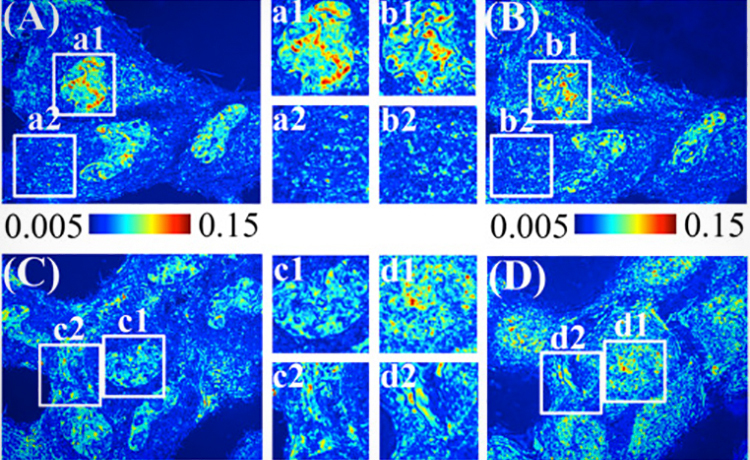 A research paper entitled "The effects of chemical fixation on the cellular nanostructure" has been published in the journal Experimental Cell Research. TEM work for the research was conduted at NUANCE's EPIC facility. Last month, the NUANCE Center hosted an X-Ray Photoelectron Spectroscopy (XPS) Workshop in collaboration with Thermo Fisher Scientific, SHyNE Resource and NU-MRSEC. Dr. Jinsong Wu, TEM manager at EPIC, hosted the final Coffee Hour of the academic year on May 19. 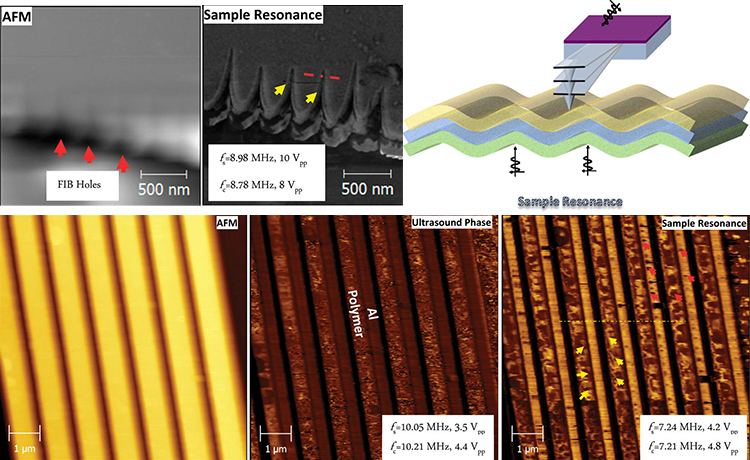 A research paper by Professor Vinayak Dravid and Dr. Gajendra Shekhawat, entitled "Thickness Resonance Acoustic Microscopy for Nanomechanical Sub-Surface Imaging," has been accepted for publication in ACS Nano. Co-authors of the paper are Dr. Oluwaseyi Balogun (Mechanical Engineering, Northwestern) and Arvind K. Srivastava of Systron Donner Inertial. 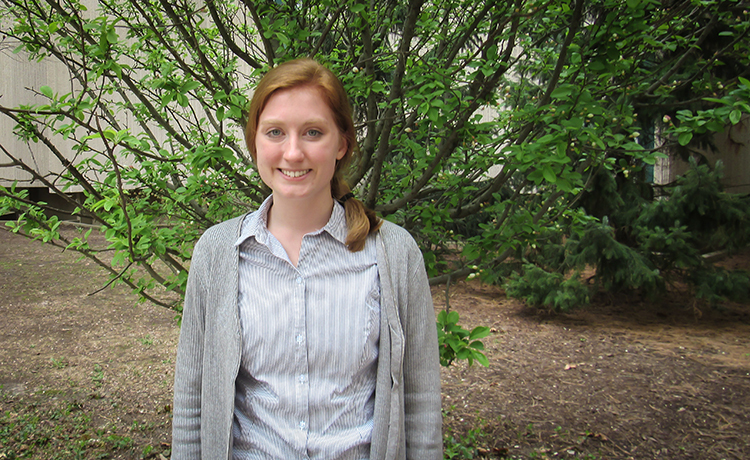 NUANCE is proud to announce the newest staff member of the EPIC Facility: Tirzah Abbott. Tirzah began her role as Electron Microscope and Imaging Specialist in April 2017. The NUANCE Center took part in the 2017 university-wide "Take Our Daughters and Sons to Work Day" on April 27. 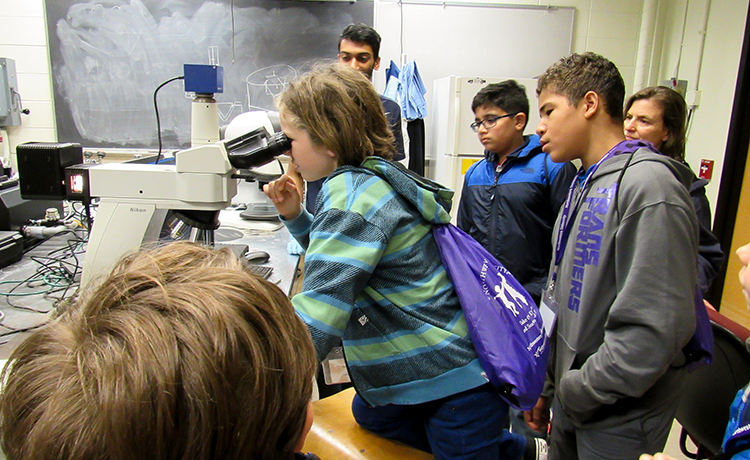 About 35 children and their parents learned about the powers of the EPIC facility's microscopes, guided by Dr. Jinsong Wu and graduate students Akshay Murthy and Jeff Cain. Yuan Li, postdoctoral fellow at KECK-II, attended the 2017 Materials Research Society (MRS) Spring Meeting in Phoenix Arizona. He presented research he recently published with Prof. Vinayak Dravid and Dr. Xinqi Chen, on Au@MoS2 photodetection. 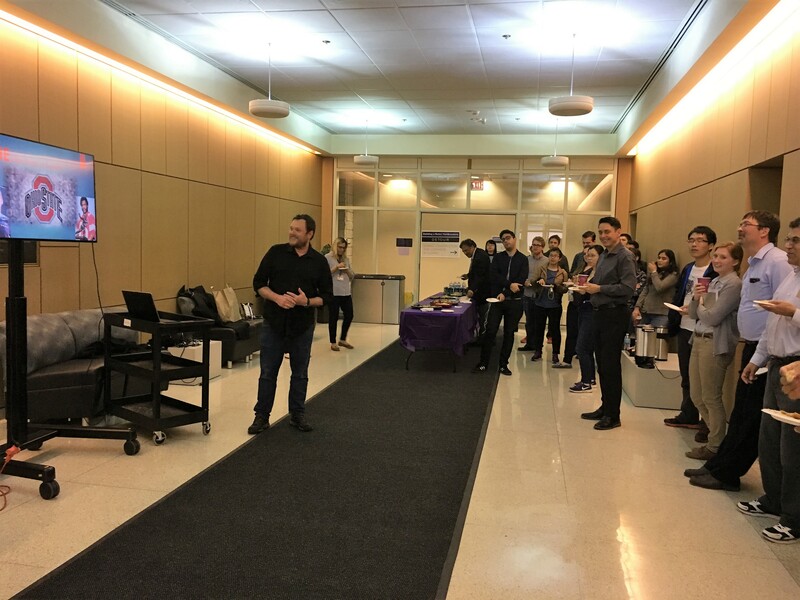 On Wednesday, April 19, NUANCE held its monthly Coffee Hour in Cook Hall. This month's host was John Ciraldo, Research Associate at NUFAB. 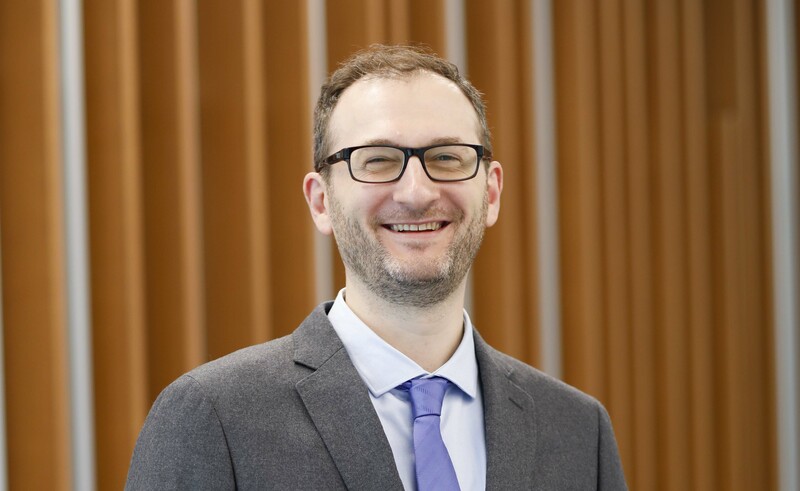 A new paper by a Northwestern-based team of researchers was published recently in Angewandte Chemie, following innovative ALD research at NUANCE's EPIC, SPID, and KECK-II facilities. 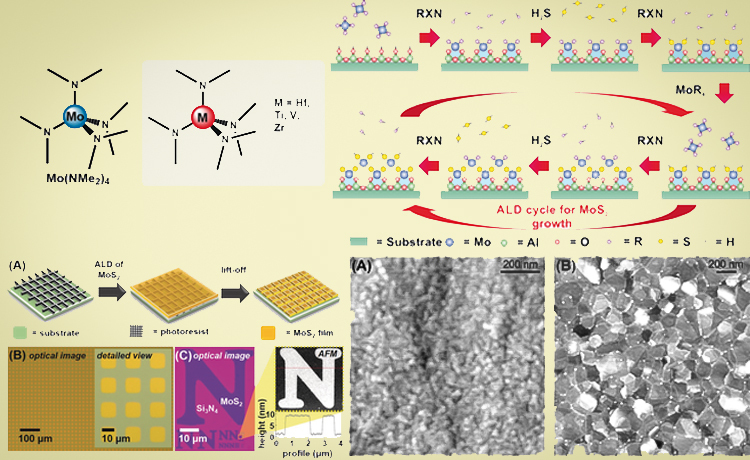 The article introduces a new method for creating MoS2 thin films at record low temperatures, facilitating photolithographic and lift-off patterning. April 6 was the Feinberg School of Medicine’s 13th annual Lewis Landsberg Research Day. 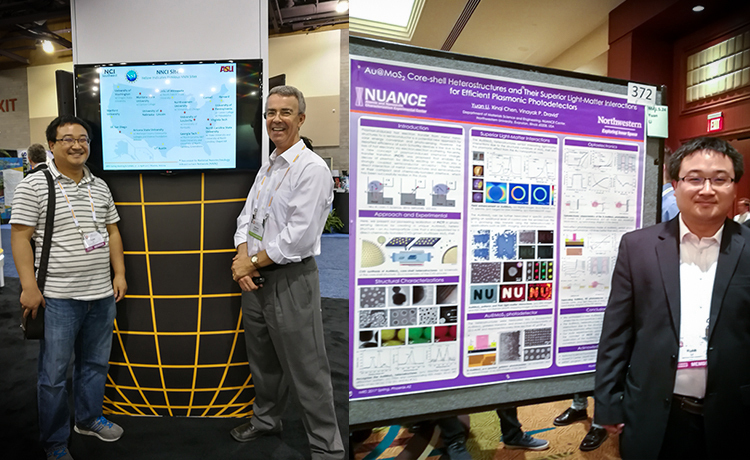 As a core facility frequently used by Feinberg students and researchers, NUANCE was naturally present, represented by Dr. Chiara Musumeci (SPID), Dr. Reiner Bleher (EPIC) and Dr. Serkan Butun (NUFAB). On Thursday, March 30, NUANCE hosted a talk by Attolight AG co-founder and CEO Samuel Sonderegger:“Cathodoluminescence in the STEM: A Nanometer-scale Counterpart of Photoluminescence.” Dr. Sonderegger discussed the challenges involved in imple,enting cathodoluminescnce in STEMs, and talked about the cathodoluminescence technology which he developed during his PhD at the Swiss Federal Institute of Technology, Lausanne (EPFL) and realized through his company, Attolight. A new study in Nature Astronomy, observing 466-million-years-old meteorites using Keck-II technology, reveals that dramatic events in the asteroid belt continuously and drastically change the composition of meteorite showers over the course of large geological time spans. NUANCE welcomes the newest member of the EPIC team, postdoctoral fellow Dr. Yaobin Xu. Yaobin is a TEM specialist who obtained his PhD in Materials Physics and Chemistry from the Shenyang Laboratory for Materials Science (Chinese Academy of Sciences). On Wednesday, March 15, NUANCE held its monthly Coffee Hour in Cook Hall. This month's host was Dr Reiner Bleher, BioCryo Facility Manager at EPIC. NUANCE warmly welcomes Dr. Neena Gilda! NUANCE is proud to announce the newest member of the SPID team, postdoctoral fellow Dr. Neena Gilda. Dr. Gilda obtained her PhD in Microelectronics from the Indian Institute of Technology in Bombay. 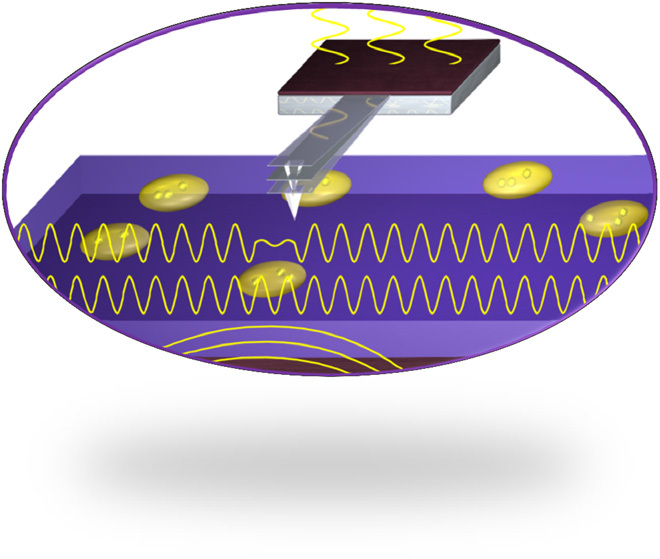 Vinayak Dravid and Gajendra Shekhawat have published a new article, entitled “Contrast mechanisms on nanoscale subsurface imaging in ultrasonic AFM: scattering of ultrasonic waves and contact stiffness of the tip–sample,” in the journal Nanoscale. The research was in collaboration with a group of researchers from the University of Calgary and made use of the SPID facility's AFM. A group of middle school students visited the EPIC facility on Wednesday, March 1, as part of a larger tour of NU labs, organized by Family Focus Community Center and NU Science in Society. On Saturday, February 25th, the NUANCE Center took part in the 46th annual Career Day for Girls. This program, organized by the McCormick School of Engineering and Northwestern’s Society of Women Engineers, offers female students in 6th-12th grade an opportunity to learn more about the different fields of engineering. The second coffee hour of the year was hosted on February 22, by EPIC's Bio-Cryo Microscopy expert Eric Roth. Theme of the afternoon: Microscopy of the Reef. NUANCE Staff Co-Author “Paradigm-Shifting” Research Paper on the Role of Zinc Sparks in Egg Fertilization. A Northwestern-based team of researchers, led by Teresa Woodruff and Thomas O’Halloran and including EPIC's Reiner Bleher and Eric W. Roth, recently published a paper in Integrative Biology. The article, entitled “Zinc sparks induce physiochemical changes in the egg zona pellucida that prevent polyspermy,” was featured the January issue of Chemistry World. On Friday, January 20 NUANCE hosted the Gemini Nano VP FESEM Workshop in collaboration with Carl Zeiss Microscopy and Bruker. Speakers included Dr. Pascal Anger and Dr. Soeren Eyhusen of ZEISS and Mark Kelsey of Bruker. On Wednesday, January 18, the first NUANCE Coffee Hour of 2017 was held in the Cook Hall Atrium. This month's host was Karl Hagglund, SEM facility manager at EPIC. 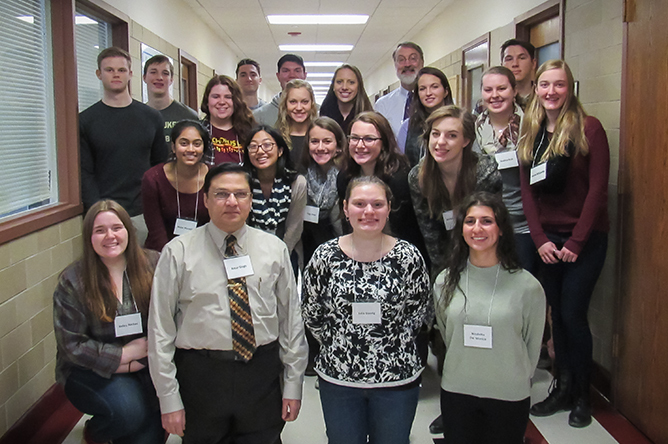 Nineteen undergraduate students from Carthage College, Kenosha, visited NUANCE on Friday, January 13. 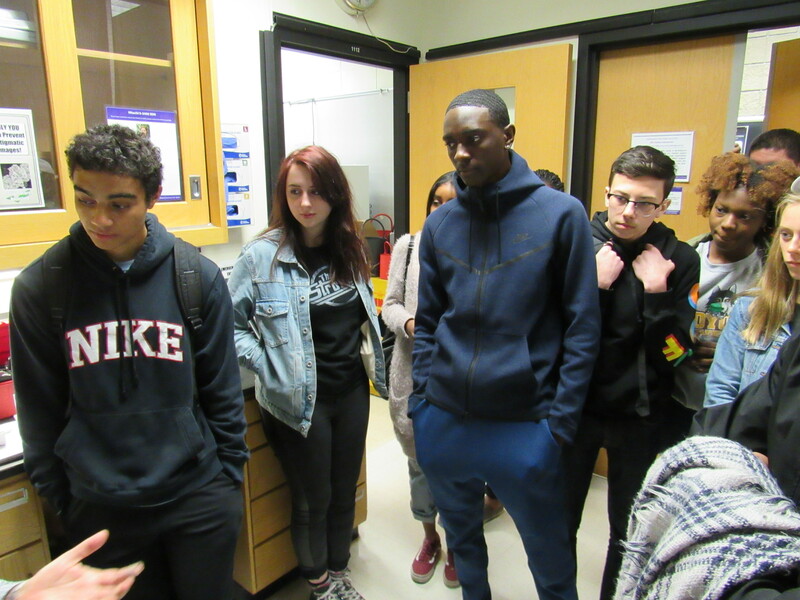 The students, who are enrolled in a Cancer Biology course, were shown around the EPIC, SPID, and KECK-II facilities by NUANCE staff, learning about the various instruments available to researchers. The NUANCE Center happily welcomes Dr. Hee Joon Jung, a postdoctoral fellow at the EPIC facility. Dr. Reiner Bleher attended the Midwest Microscopy and Microanalysis Society meeting, where he presented a talk on Cryo-Electron Microscopy techniques. Dr. Xinqi Chen attended the American Vacuum Society 63rd International Symposium and Exhibition held in Nashville, TN, where he spoke with prominent industry scientists and attended surface science and 2D material technical sessions. Eric Miller, Microscopy & Imaging Specialist the EPIC facility, explains how to maximize resolution in the SEM. The finalists of the 2016 NUANCE Center Image Contest talk about their research, their submissions, and the NUANCE Center facilities. Dr. Jinsong Wu recently attended the 9th International Conference on Advanced Lithium Batteries for Automobile Application (ABAA-9) in Huzhou, China. Dr. Wu displayed his own research using In Situ TEM technology at NUANCE's EPIC facility, and explored avenues of collaboration with international researchers and industry representatives. Dr. Yuan Li, postdoctoral fellow at the NUANCE Keck-II Facility, has co-authored an article with a group of Northwestern scientists, including Keck-II Facility Manager Xinqi Chen and NUANCE director Vinayak Dravid. The paper was published in the ACS journal Nano Letters. NUANCE Fest, NUANCE’s annual open house, was once again a great success! On October 19, new graduate students were offered a tour of the NUANCE facilities, followed by a reception for students, faculty, and staff. The NUANCE Center Image Gallery Reception was held on October 5. Eleven finalists displayed their work, all created with NUANCE equipment, and Dr. Kai He was announced as the contest winner! The NUANCE Center warmly welcomes Dr. Sungkyu Kim and Dr. Chiara Musumeci! Dr. Kim is a postdoctoral fellow for the NUANCE Center, EPIC facility and Dr. Musumeci is a postdoctoral fellow for the NUANCE Center, SPID facility. The winning images from the summer image gallery contest will be displayed for 6 months in our NUANCE Center gallery, which is located in Cook Hall, 1st floor and Silverman Hall, 1st floor. The NUANCE Center hosted a Raman/AFM-Raman/TERS Workshop in collaboration with HORIBA Scientific and AIST-NT on Thursday, September 27. The Office for Research held its 7th annual Core Facilities Colloquium and Awards Luncheon. The NUANCE center received a Gold Star Award, bestowed on facilities operating at the top level (top 10%) for four years or more. On September 21, NUANCE staff, students, and affiliates gathered for the NUANCE Center Monthly Coffee hour, organized this month by Ben Myers. Jinsong Wu receives microscopy award! Dr. Jinsong Wu received a Professional Technical  Staff Award at the M&M 2016 Conference in Columbus, OH. Congratulations Dr. Wu! NUANCE congratulates NUFAB's Ying Jia on the birth of her beautiful baby girl, Evelyn. "Multi-Scale Materials Science: From 3D to 4D with X-Ray Microscopy"
The August 17 NUANCE Center Coffee Hour was hosted by Dr. Kai He, TEM facility manager for the NUANCE - Electron Probe Instrumentation Center (EPIC). About 75 people attended the coffee hour, saw a cool poster about the history of electron microscopy, and talked to Dr. Kai about the current and future TEM instrumentation of the NUANCE Center. Dr. Kai showed an impressive video highlighting the 2 new TEMs we will be installing later this year/early 2017, and their unique capabilities. The NUANCE Center will receive the Gold Star Award at the Office for Research's 7th annual core facility awards, September 23. A research team in Northwestern University's NUANCE Center is studying the sodium-ion battery and how it compares against the lithium-ion battery. 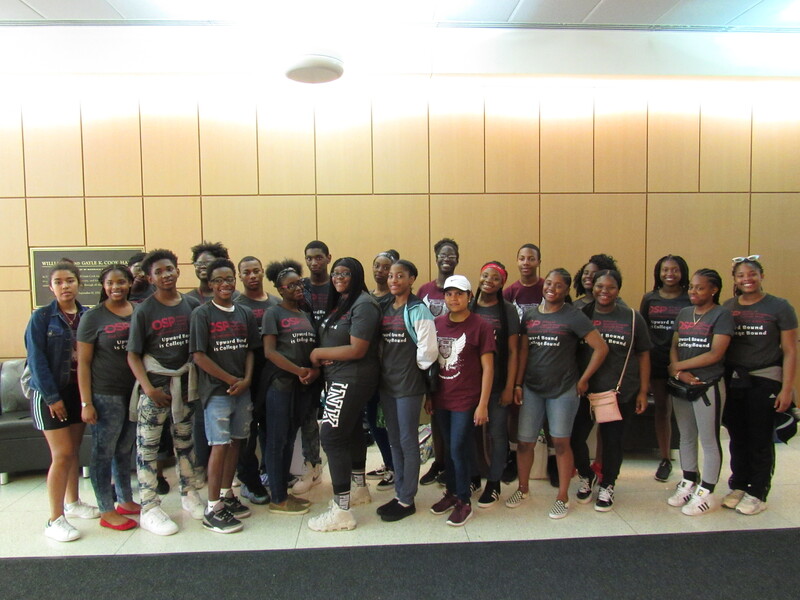 On Wednesday, a group of students from SQ Scholar, a scholarship program for promising middle and high school students from Chicago, took a tour of the NUANCE facility to learn about nanoscience. There is growing interest in determining whether consumers can be exposed to nanoparticles during the lifecycles of polymer nanocomposites (PNCs). This study employs a model PNC system based on luminescent semiconductor nanocrystals (quantum dots) dispersed in low density polyethylene, and exposes these materials to liquid media under conditions intended to accelerate the release kinetics. 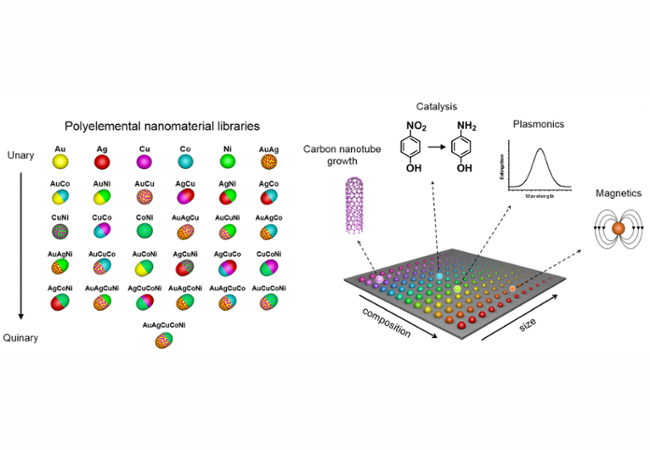 Northwestern Team Developing "Ultimate Discovery Tool"
Northwestern professor, Chad A. Mirkin and his team are developing a tool to rapidly test millions, even billions or more different nanoparticles at one time. 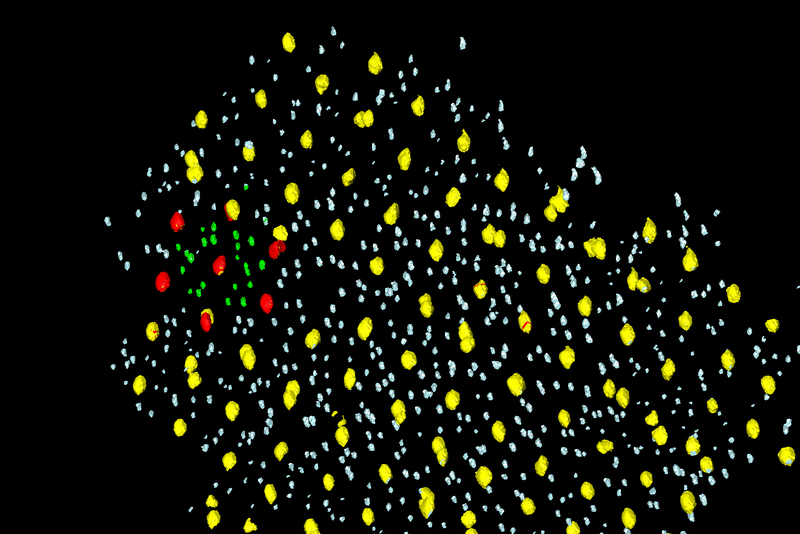 “Our tool will enable researchers to pick the winner much faster than conventional methods," said Mirkin. "We have the ultimate discovery tool." Atsushi Muto held a seminar and demo session, Tuesday and Wednesday to highlight the imaging performance and capabilities of the Hitachi SU 8030 SEM, the highest performance scanning electron microscope in the EPIC facility. 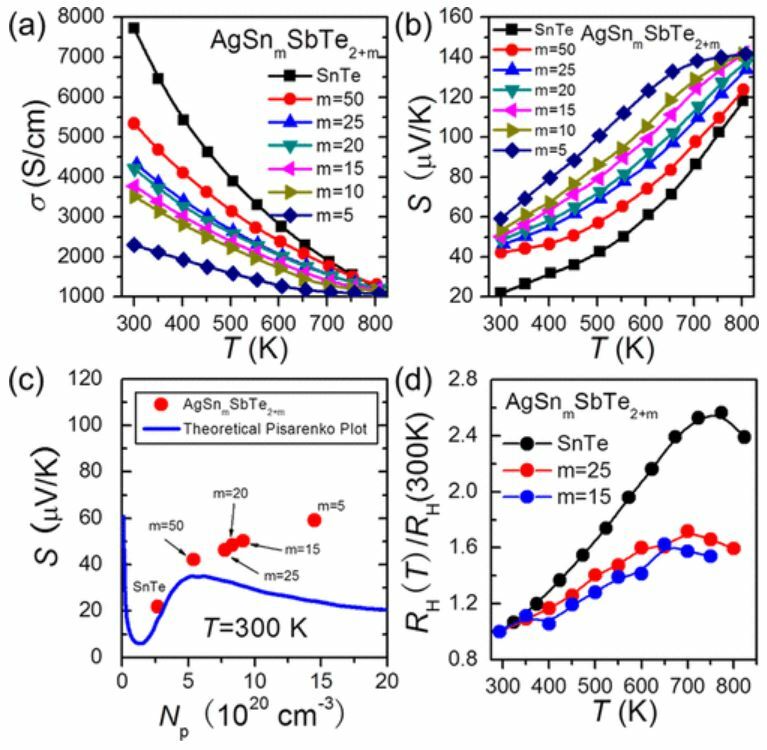 NUANCE Center staff members, Dr. Xinqi Chen and Dr. Vinayak Dravid, co-authored a paper, "From ScOOH to Sc2O3: Phase Control, Luminescent Properties, and Applications," which has been published by the weekly Advanced Materials journal. 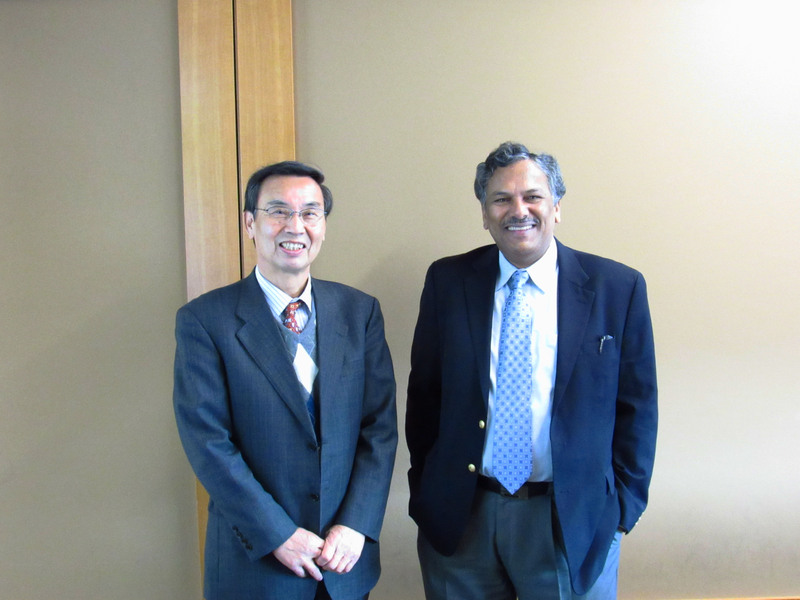 Dr. Chen is the Keck Interdisciplinary Surface Science (Keck-II) Center facility manager, and Dr. Dravid is the director of the NUANCE Center. The monthly ACS Nano journal published SHyNE Resource Director of Operations Benjamin Myers' work on "Size-Selective Nanoparticle Assembly on Substrates by DNA Density Patterning." In addition to his work for the SHyNE Resource, Myers is a part-time Ph.D. student in the VPD Group. The NUANCE Center had the pleasure of hosting Raith sales manager Joseph Klingfus and Raith senior product manager Dr. Sven Bauerdick yesterday. Dr. Bauerdick presented on “Advanced FIB Nanofabrication: New Ion Species and Unique Patterning Strategies.” Demo sessions on the Raith instruments were held in the afternoon. This month’s NUANCE Center Coffee Hour was hosted by Keck Interdisciplinary Surface Science (Keck-II) Center facility manager Dr. Xinqi Chen in the Cook Hall first floor atrium. About 65 people attended the coffee hour and talked to Dr. Chen about XPS, SIMS, and other Keck-II facilities. On May 25, SHyNE Resource had their second Spotlight event, featuring the High Performance Bioscope Resolve Life Science Imaging System. Dr. Reiner Bleher hosted the 2016 CryoSEM workshop in hopes that focusing on one BioCryo method would help him reach a niche audience. From what he learned in a Kellogg Executive Education course, he anticipated the event would attract more audience members if he focused on one rather than a broad array of techniques. The workshop reached near maximum capacity at about 60 people. Congratulations to Dr. Jinsong Wu on his recent promotion to associate research professor! Dr. Wu is the TEM facility manager for the NUANCE Center/EPIC Facility. The NUANCE Center is happy to announce the arrival of the FEI Quanta FEG 650, which replaced the older model FEI Quanta FEG 600. The FEI Quanta FEG 650 is fully operational and ready for use. If interested in using the instrument, please contact SEM manager Karl Hagglund (karl.hagglund@northwestern.edu). 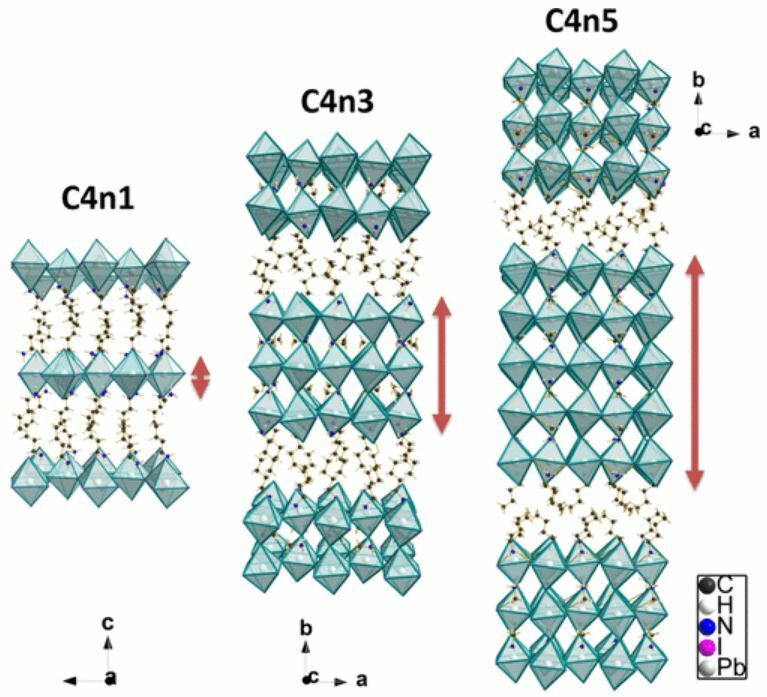 The Journal of Materials Chemistry A recognized and published NUANCE staff members Dr. Qianqian Li, Dr. Jinsong Wu, Dr. Junming Xu and Dr. Vinayak Dravid's work on "Synergistic Sodiation of Cobalt Oxide Nanoparticles and Conductive Carbon Nanotubes (CNT) for Sodium-ion Battery." Dr. Yuan Li, Dr. Jinsong Wu, Dr. Qianqian Li and graduate student Fernando Castro attended the 2016 Materials Research Society (MRS) spring meeting in Phoenix, AZ, from March 28 to April 1. 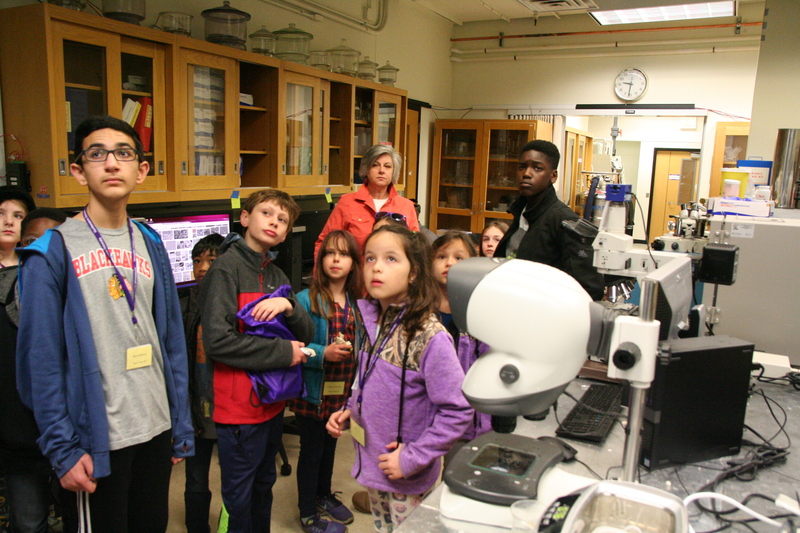 The NUANCE Center loves inspiring young minds and takes pride in the part it plays in “Take Our Daughters & Sons to Work Day.” This year, about 30 students from elementary to middle school visited the NUANCE Center on Thurs., April 28, and learned about electron microscopes. The Wavelength Dispersive Spectroscopy (WDS) System is now open and available for use and training. Thank you to everyone who attended the Scanning Probe Microscopy Short Courses and Training Workshop from April 21 to 22. It was a pleasure to sponsor this event with Bruker and host so many students, postdoctoral fellows, professors, researchers and science technical staff. A huge thank you also to our engaging speakers and presenters! 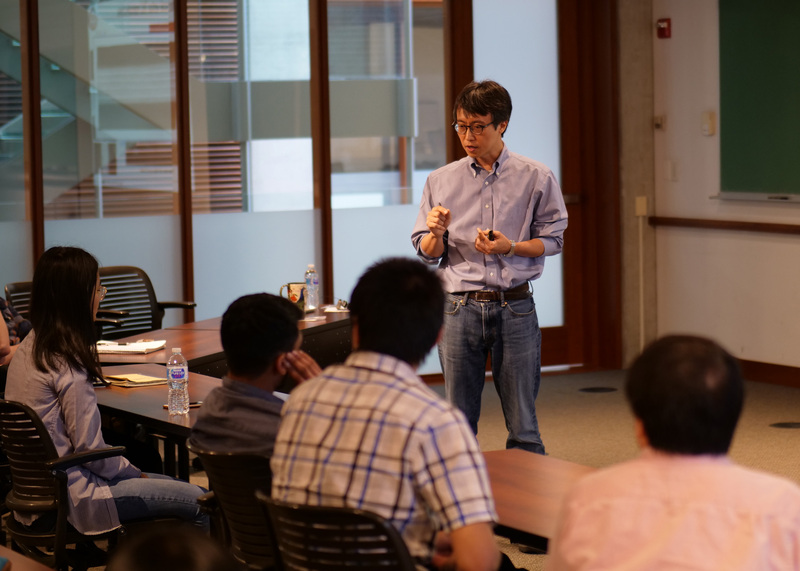 Dr. Hee Joon Jung presents on "TEM Studies on Energy Conversion Materials"
On Wednesday, April 20, Dr. Hee Joon Jung from Pacific Northwest National Laboratory gave a presentation on "TEM Studies on Energy Conversion Materials" in the MSE Conference Room. 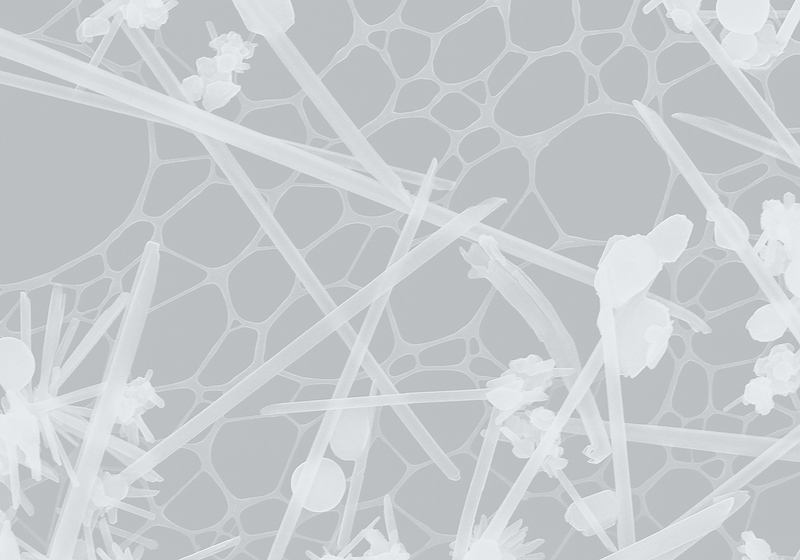 Thank you to everyone who participated in last week’s CryoSEM Workshop! We were honored to have presentations by the NUANCE Center’s BioCryo facility manager and research assistant professor Reiner Bleher, associate professor Derk Joester, postdoctoral fellow Irene Chang, and Mager Scientific technical sales representative Mike Boykin as well as BioCryo demonstrations by research technologist Eric Roth in the afternoon. 50 Freshmen from Glenbrook South High School visited Northwestern University on Friday, March 4, 2016. They learned about Large-scale/"Mega" Engineering, and Nano/Molecular Engineering. Prof. Chad Mirkin gave a very interesting presentation on the TERA-Fab E- and M-Series, it's capabilities and benefits. This was followed by a demonstration of the instrument by Andrey Ivankin. Lauren Sturdy hosted students from Salem Christian School in Chicago, who were here on a science field trip. The purpose was to introduce them to a college environment and show them how exciting science can be! The NUANCE Center hosted a reception for the winners of the Fall 2015 image gallery contest on January 11, 2016. Many people came to see the images and to learn about the science behind each image! The NUANCE Center warmly welcomes Karl Hagglund! Karl is the new SEM Facility Manager for the NUANCE EPIC Facility! 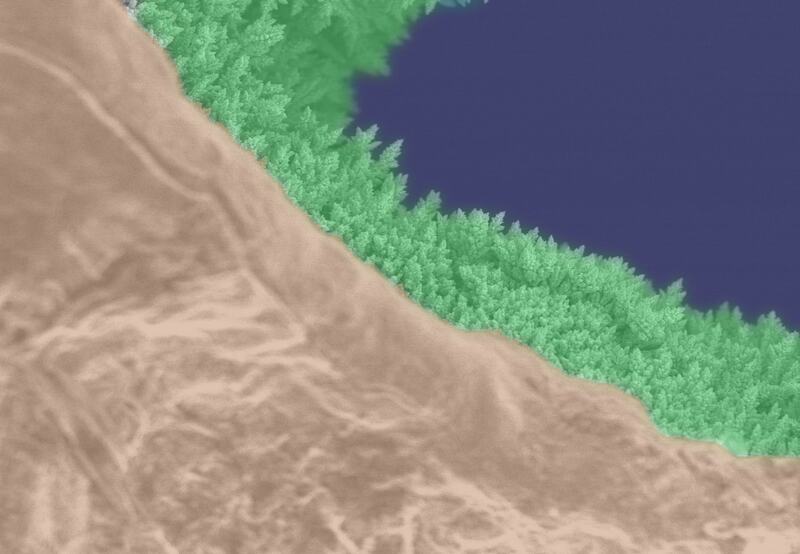 An important research project, led by scientists from the NUANCE Center, and made possible through the support of ISEN, will have opportunity to develop novel instruments and techniques for in operando observation of electrochemical reactions at high resolution by in-situ TEM. The winning images from the spring image gallery contest will be displayed for 6 months in our NUANCE Center gallery, which is located in Cook Hall, 1st floor. The NUANCE Center warmly welcomes Dr. Kai He! Congratulations to graduates of the Leadership and Management in Core Facilities course! This Kellogg Executive Education course took place on November 16-19, 2015 and was attended by 19 Operation Directors and Managers of Core Facilities, including Dr. Reiner Bleher and Chad Goeser from the NUANCE Center. The American Chamber of Commerce in Rio de Janeiro, Northwestern Office of Research, and Northwestern McCormick Office of Corporate Relations hosted a meeting with Brazilian metalworking industry executives. A scale model of the Millennium Falcon was produced recently in the NUANCE Center at Northwestern University by Eric Miller, Microscopy & Imaging Specialist. 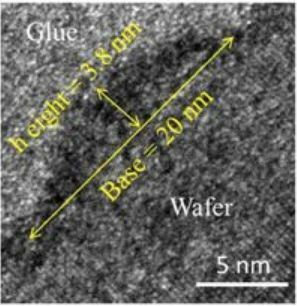 It was constructed out of Platinum on a Silicon substrate and measures only 19.5 micrometers in length, which makes it 1:1,800,000 scale. It was built in an FEI Helios Focused Ion Beam microscope, which allows for the deposition and milling away of material. 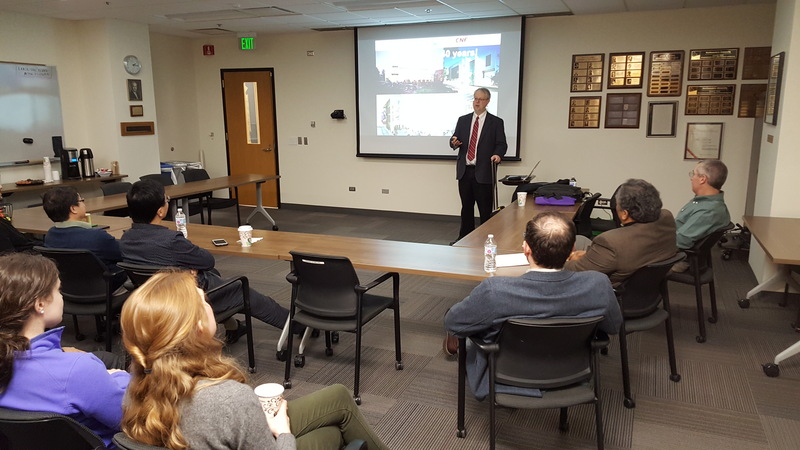 Dr. Bleher recently gave a successful talk, "Electron Microscopy of Biological Samples" at Northeastern Illinois University as part of their inaugural Capstone Seminar series. The NUANCE Center's annual open house, NUANCE Fest 2015, was a huge success! Participants met the friendly staff of NUANCE, learned about our high-tech instruments, techniques and the atomic, molecular and nano-scale research that happens in our center, all while enjoying pizza and refreshments. The International Institute for Nanotechnology (IIN) hosted a tour of the NUANCE Center and IMSERC for David Kabiller and Rick Eid. David Kabiller is a Northwestern University Trustee, Co-Founder and Principal at AQR Capital Management. Rick Eid is a writer-producer of many popular television shows, such as "Law & Order" and "CSI: Crime Scene Investigation"
$5 million five-year NSF NNCI grant awarded to Northwestern University, along with partner University of Chicago! We are pleased to announce that The National Science Foundation (NSF) has awarded a $5 million five-year NNCI award, entitled “Soft and Hybrid Nanotechnology Experimental (SHyNE) Resource” to a collaborative group of research facilities. The NUANCE Center warmly welcomes Dr. Yuan Li! Beth Wikler (Health Legislative Assistant) and Tran Nguyen (Senate Aide), both from the Office of Senator Richard Durbin, visit the NUANCE Center! The NUANCE Center receives the Gold Star Award from the NU Office for Research! The Office for Research (OR) recently announced its 6th annual core facility awards. Selection of award recipients was based upon information provided in 2015 annual reports as well as other considerations pertaining to the operation of facilities during the past year. The NUANCE Center, NU-MRSEC, and Oxford Instruments presented a "Oxford AZtec Energy Dispersive Spectroscopy (EDS) Workshop" on June 25 at Northwestern University in Ryan Hall, Room 4003. Dr. Jinsong Wu receives ISEN award! Meet the talented and dedicated staff of the NUANCE Center! The Chute Middle School afternoon Science Club, supervised by Dr. Aleta Hagman (NU-MRSEC), toured our NUANCE Center. The kids got to see fun demos and learn about the science that goes on in our center. New PELCO easiGlow™ Glow Discharge Cleaning System! Now Available in the EPIC-BioCryo Facility, Silverman Hall, Room B-540! Northwestern University hosted a North American Deep Drawing Research Group (NADDRG) symposium. Several facilities, including the NUANCE Center, participated in a series of tours for the participants in the afternoon. Ben Myers led the tours of NUANCE. 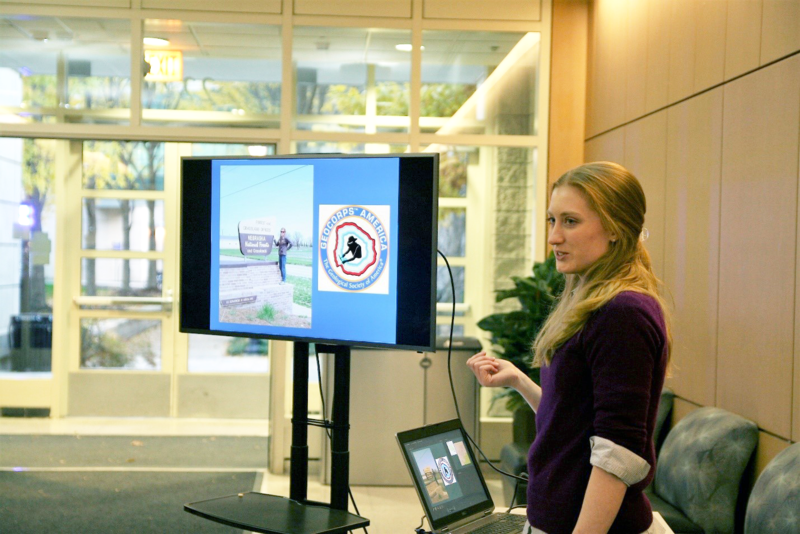 The NUANCE Center hosted a reception for the winners of the Spring 2015 image gallery contest on April 29, 2015. Many people came to see the images and to learn about the science behind each image! "Take Our Daughters & Sons to Work" Day at NUANCE! Eric Miller, Dr. Jinsong Wu, and Dr. Fengyuan Shi showed kids some fun samples on our microscopes, explained to them the science that we do, and answered any questions they might have! NUANCE Center at Feinberg Research Day! The NUANCE Center took part in Feinberg Research Day! Participants stopped by our table and learned about the research that goes on at the NUANCE Center. Ben Slivka - Member of the Northwestern University Board of Trustees; Trustee for the Wissner-Slivka Foundation; and former General Manager, Project Leader, Software Design Engineer for the Microsoft Corporation - Received a tour the NUANCE Center. Many girls took a tour of our NUANCE Center, where Eric Miller, Dr. Fengyuan Shi, and Fernando Castro gave demos and talked about nanoscience! Hair Dye could be used to solve criminal cases! Amer Deirieh from MIT visited the BioCryo Facility of EPIC for one week of experiments using the S4800 cryoSEM, the HPM100 high-pressure freezer, and the ACE600 cryo coater. Dr. Irene Yin-Ting Chang, a postdoc from Derk Joester’s Group, was working with him on the project. “Towards non-invasive diagnostic imaging of early-stage Alzheimer's disease”, by Kirsten L. Viola, James Sbarboro,	Ruchi Sureka, Mrinmoy De, Maíra A. Bicca, Jane Wang, Shaleen Vasavada, Sreyesh Satpathy, Summer Wu, Hrushikesh Joshi, Pauline T. Velasco, Keith MacRenaris, E. Alex Waters, Chang Lu, Joseph Phan, Pascale Lacor,	Pottumarthi Prasad,	Vinayak P. Dravid & William L. Klein, Nature Nanotechnology 10, 91–98 (2015). The NUANCE Team is pleased to announce the publication of Inner Space! This is the first of our biannual newsletters, designed to keep you informed about developments and happenings at the NUANCE Center. 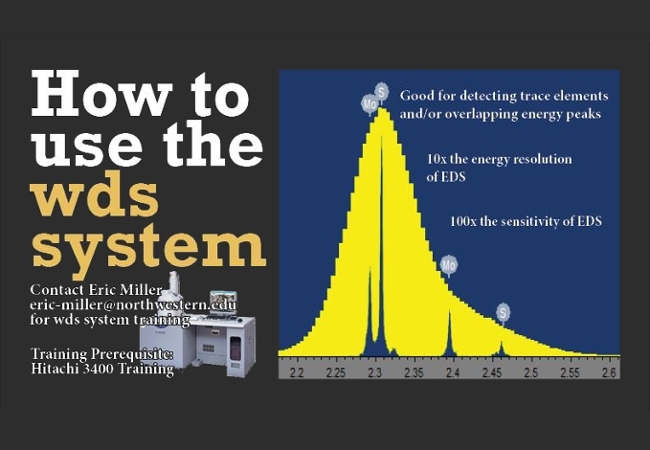 New Raman System - Available Now! A sugar and pH dual-responsive controlled release system, which is highly specific towards molecular stimuli, has been developed. This Kellogg Executive Education course took place on December 8-11, 2014, and was attended by 19 Operation Directors and Managers of Core Facilities, including Dr. Jinsong Wu, Dr. Xinqi Chen, and Dr. Gajendra Shekhawat from the NUANCE Center. The construction is progressing on the new J-Wing of the Northwestern University Technological Institute. When finished, tentatively in December of 2015, the 1st floor will house EPIC instruments and offices. Shuyou was with Northwestern for 15 years; first with Prof. Dravid's research group and then as a manager for the NUANCE Center - EPIC facility TEMs. 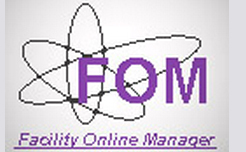 He retired from Northwestern so that he can devote full-time to being the manager of FOM. He has been a valuable member of our team, and we will miss his warm personality and sense of humor. 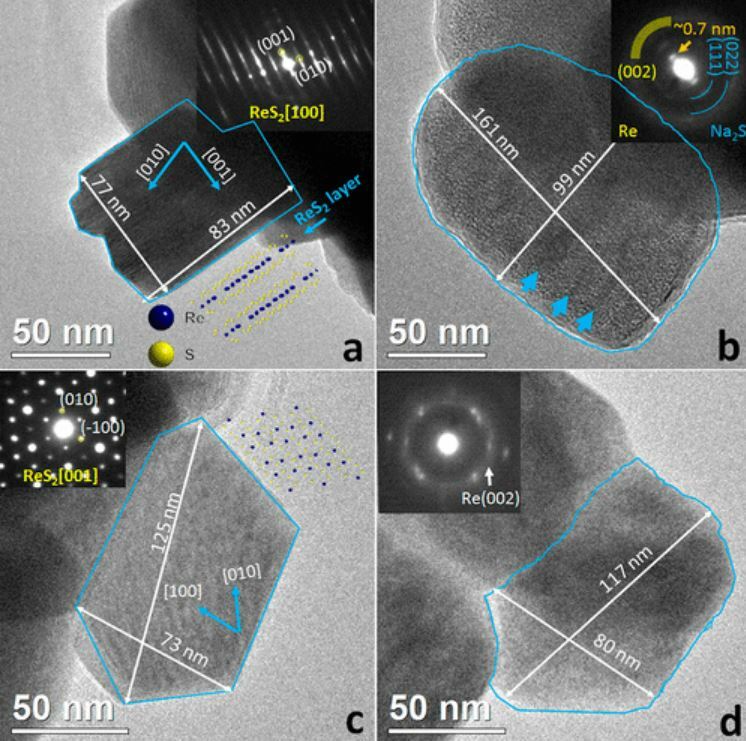 “Atomic Resolution Study of Reversible Conversion Reaction in Metal Oxide Electrodes for Lithium-Ion Battery by In-situ TEM”, by Langli Luo, Jinsong Wu, Junming Xu, and Vinayak P. Dravid, ACS Nano (22 October 2014). The NUANCE Center recently acquired a Mantis Elite-Cam, which is available for use in our EPIC facility. A VAC OMNI-LAB Glovebox System was recently purchased and is now available for use in the NUANCE-EPIC facility. 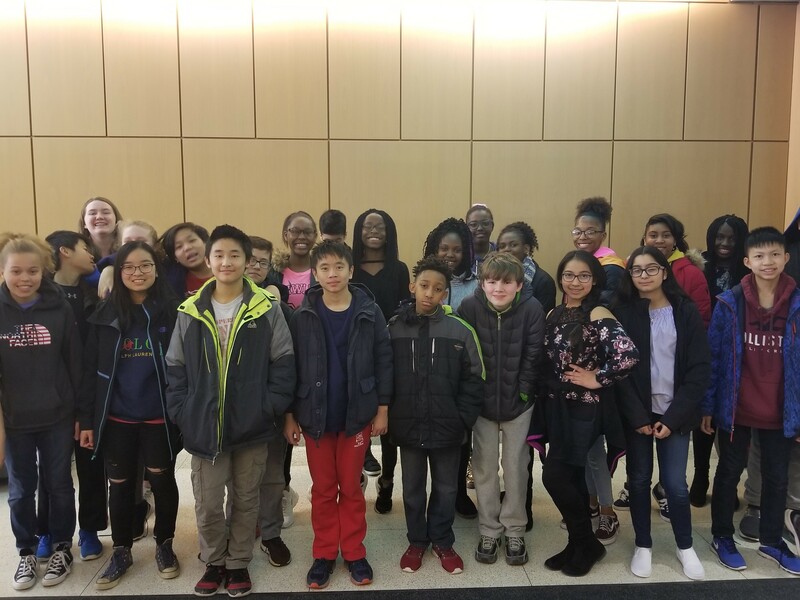 Eric W. Roth lead students from Lindblom Math and Science Academy, Von Steuben Metro Science Academy, Solorio Academy, and Evanston Township High School on a tour of the NUANCE Center as part of BioTech Day, sponsored by Northwestern University. Eric Miller is one of the winners in the SiS annual image contest. We are delighted to announce that the NUANCE Center has received the 2014 Outstanding Core Facility Award! The NUANCE Center hosted a tour of representatives from various sectors of industry on Tuesday, September 23. 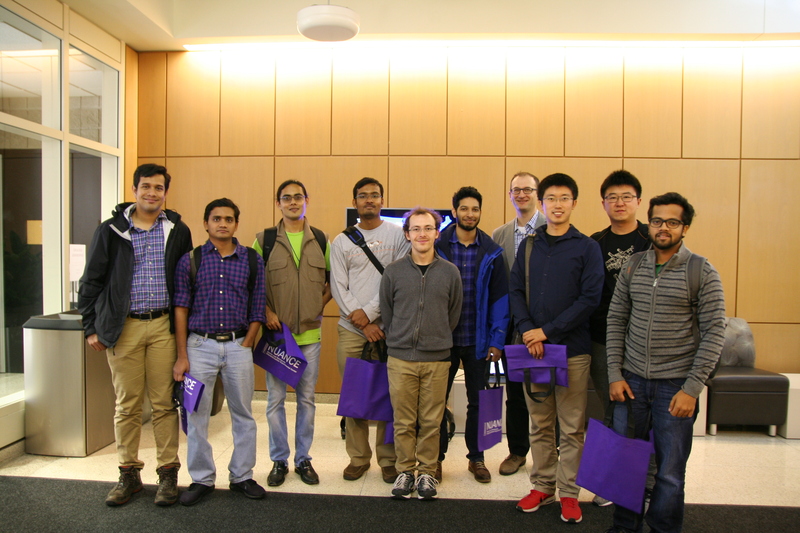 The group was visiting Northwestern University for their Industrial Research Institute (IRI) regional event, which was hosted by the NU Corporate Engagement Office. NUANCE Image Contest 2014 Grand Prize Winner & Honorable Mentions! Check out these amazing images taken at the NUANCE Center at Northwestern University! Congratulations to the grand prize winner, Irene Chang. On September 18, 2014, NUANCE Center held its annual NUANCE Fest! 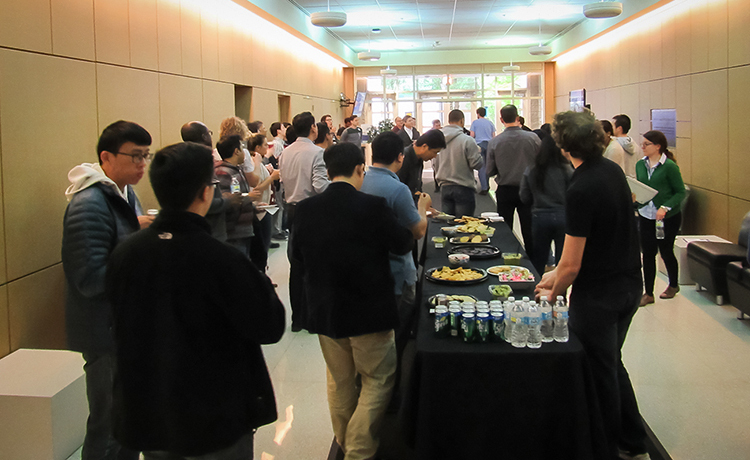 We had poster presentations, free pizza and nanowater, raffle prizes, and facility tours of EPIC, Keck-II, and SPID. Thank you to everyone who stopped by, and congrats to our image contest and raffle prize winners! Check out our tour photos from this summer! 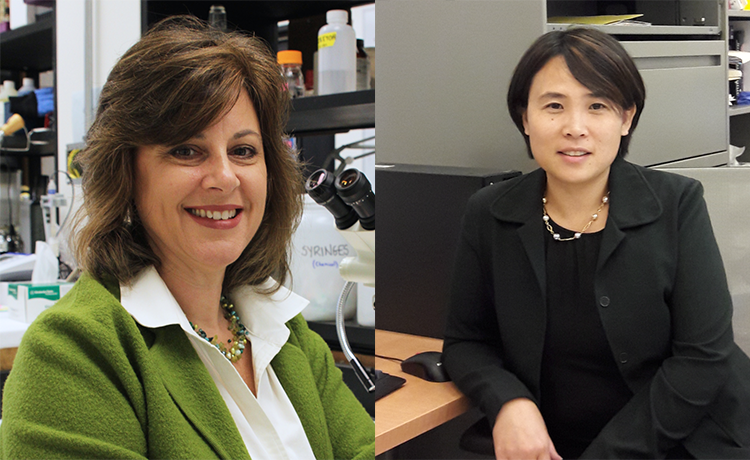 Congrats to researchers B. Lee, P. Guo, S.Q. Li, B. Buchholz, and R.P.H. Chang for getting published with ACS Applied Materials & Interfaces. Their article was chosen as an ACS Editors' Choice! Bruker Nano Surfaces and the NUANCE Center invite you to join us for technical presentations and live demonstration of the Dektak 150 stylus profiler and the ContourGT-K non-contact optical 3D profiler. M&M 2014 is a unique community of scientists and technology providers from a wide variety of fields, from all over the world. Here are some photos from this year's meeting in Hartford, CT, where NUANCE had a booth with staff on hand to answer questions about our facilities, instrumentation, and opportunities. NUANCE Scientists Collaborate on First “Star Trek” Tricorder Device! Dr. Gajendra Shekhawat and Prof. Vinayak Dravid, using the instruments of NUANCE, developed the MOSFET-embedded Micro cantilever based Integrated sensor technology for real-time detection of analytes under physiological conditions, which is an integral part of this handheld device development for medical diagnostics and personalized medicine. "Thermoresponsive Magnetic Hydrogels as Theranostic Nanoconstructs"
New Fischione NanoMill Model 1040, now available for training and use! With support from MRSEC and NU Office for Research, NUANCE was able to acquire a new Model 1040 NanoMill® TEM Specimen Preparation System. We are delighted to announce that the NUANCE Center was selected for 2014 Outstanding Core Facility Award! The NUANCE Center was one of four core facilities selected by the Office for Research for the 2014 Outstanding Core Facility Awards. In addition, two core facilities are recognized for Honorable Mention and another for Most Improved Core. Northwestern University scientists have discovered a surprising material that is the best in the world at converting waste heat to useful electricity. The NUANCE Center, Thermo Fisher Scientific, and NU-MRSEC presented an X-Ray Photoelectron Spectroscopy (XPS) Workshop. There was a huge turnout, with more than 80 attendees! Prof. Vinayak Dravid (Director of NUANCE), Dr. Jinsong Wu and Ben Myers (EPIC facility managers), Ron Smith (Business Manager), and Raymond Bailey (Administrative Coordinator) tour the Technological Institute, J-Wing construction site. When finished, the 1st floor will house EPIC instruments and offices. 94 high school students from the American Junior Academy of Science (AJAS) took a tour of our NUANCE Center. "Polarized release of T-cell-receptor-enriched microvesicles at the immunological synapse"
Scientists from Northwestern University's Science in Society program discuss their award winning images from the 2013 Northwestern University Scientific Images Contest at the Evanston Public Library. Eric W. Roth was there from the NUANCE Center. "Dynamics of Electrochemical Lithiation/ Delithiation of Graphene-Encapsulated Silicon Nanoparticles Studied by In-situ TEM"
The NUANCE Center, represented by Eric Miller and Ben Myers, met with representatives of Motorola Mobility. The Leica EM HPM100 high pressure freezer. 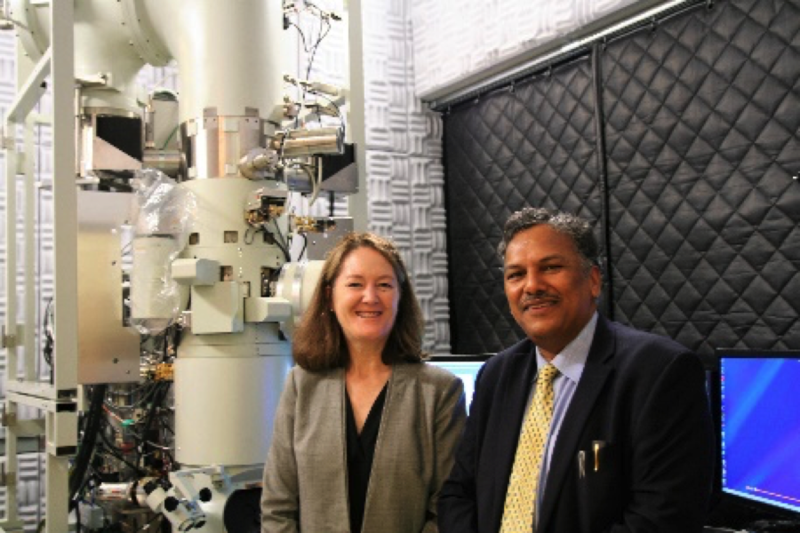 "New Methods for Improved Characterization of Silica Nanoparticle-Based Drug Delivery Systems"
"Scientific Digital Cameras: Fundamentals of CCD, EMCCD, and sCMOS Technology for Imaging and Spectroscopy"
Prof. Vinayak Dravid led a tour of our NUANCE facilities. Mrs. Cook, President Morty Schapiro, Provost Dan Linzer, and several members of the class of '53 were part of the tour group. Our NUANCE open house was a great success! "From Micro to Nano: analyzing materials and biological systems"
High school students and their chaperons visited NUANCE on July 12, 2013, as part of a program sponsored by Kennedy King College and the University of Chicago programs. What's It Made Of? Keys! In this episode, Eric Miller takes a look at the mysteries of door keys! Professor Dravid speaks at Northshore Senior Center's Annual Meeting. NUANCE website to showcase EPIC, Keck-II and NIFTI specific capabilities. Craig Mundie, Chief Research and Strategy Officer, Microsoft, visited the NUANCE Center.